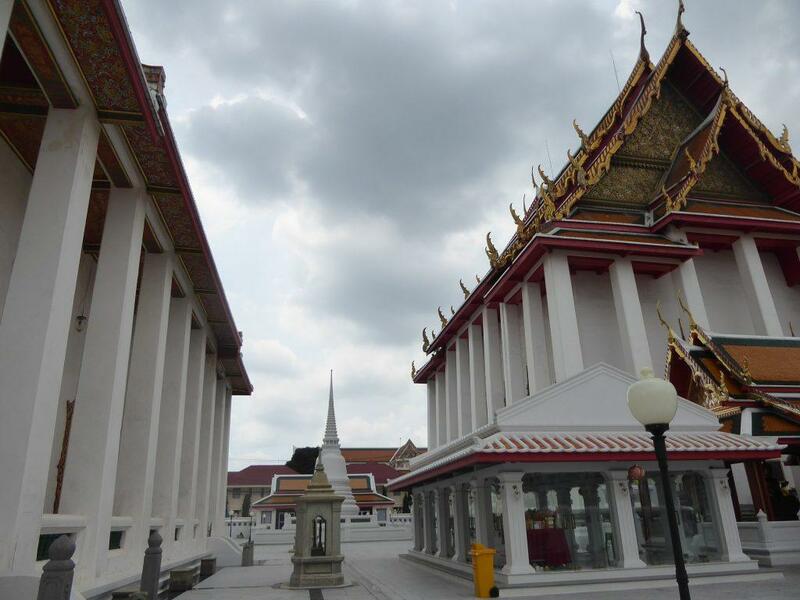 Wat Kalayanamit is a historic second class royal temple located in Thonburi by the riverside. It was established in 1825 by Chaophraya Nikonbodin who was a close friend of King Rama III, who he later donated it to. 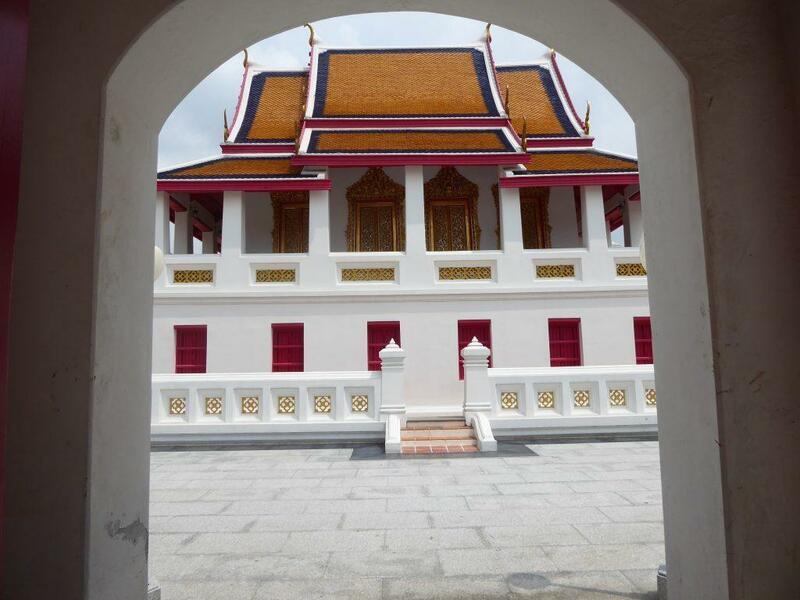 The center courtyard contains a large Viharn between a smaller Viharn and the Ordination Hall. There are also statues and Buddha images in front of the Ordination Hall. 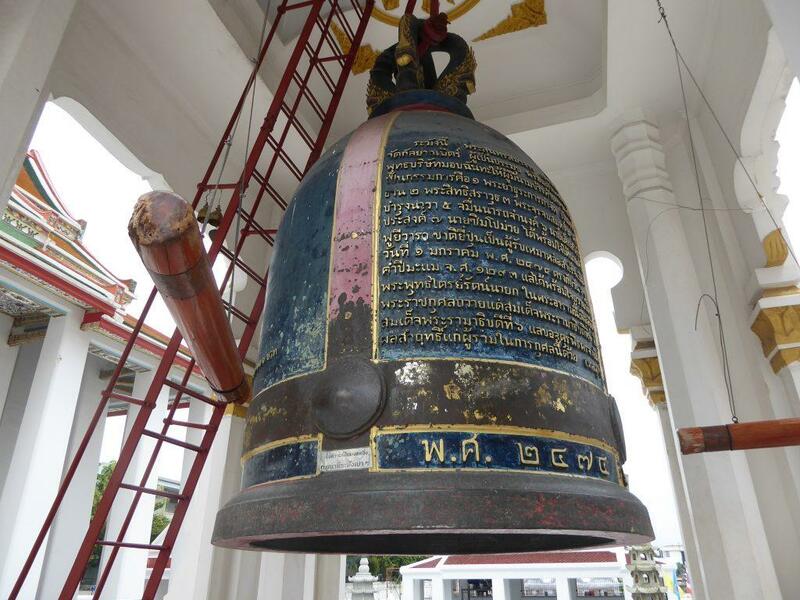 In front of the large Viharn is a white bell tower containing the largest bell in Thailand. 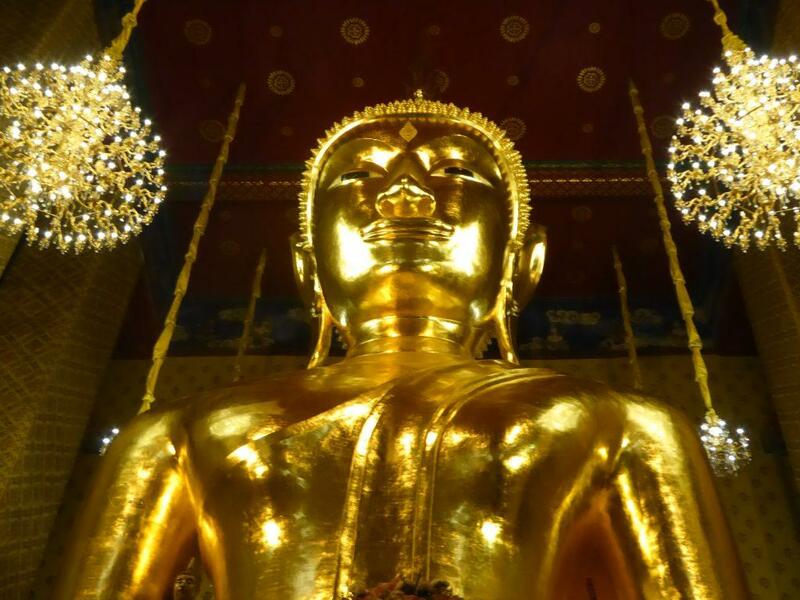 Inside the central large Viharn is the principal Buddha image, Luang Por Tho or Phra Buddha Tri Rattanayok. The giant image is 10.3 meters wide & 14.3 meters high. 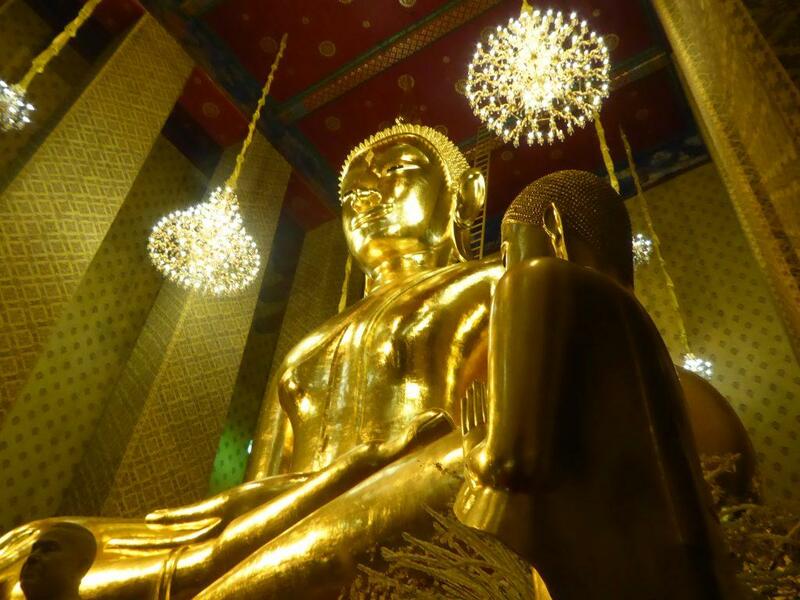 It’s one of the biggest Buddha images in Thailand. It’s made of plaster with an outer layer of gold leaf. The image is highly respected by local Chinese people. The Ordination Hall contains a Buddha image in the Palilai posture (sitting position with legs hanging down, left-hand palm on knee). 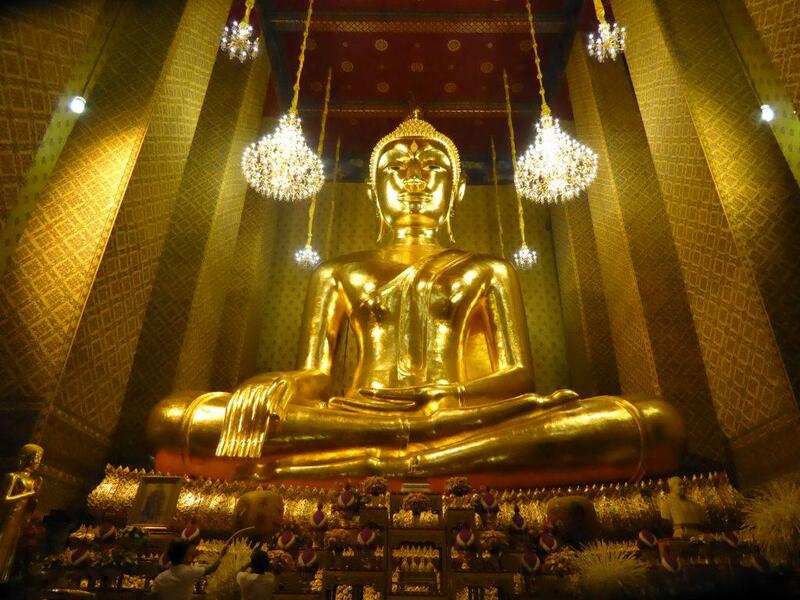 This is the only temple in Thailand with a principle Buddha in this posture. There are beautiful murals depicting the life of the Buddha and the daily life of local people during the reign of King Rama III. 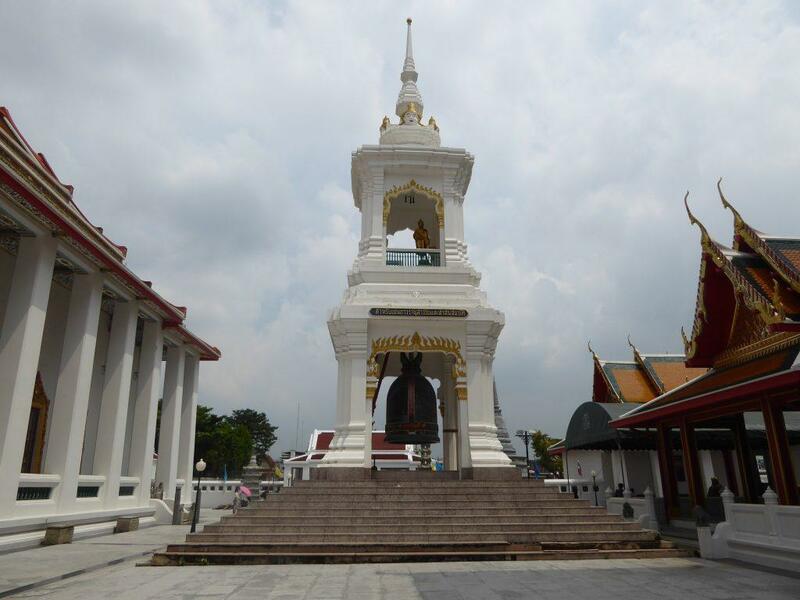 A Chinese style Chedi from China is located behind the Viharn near the street entrance along with plain stone & white chedis. There is also a Buddhist library containing many rare scriptures. 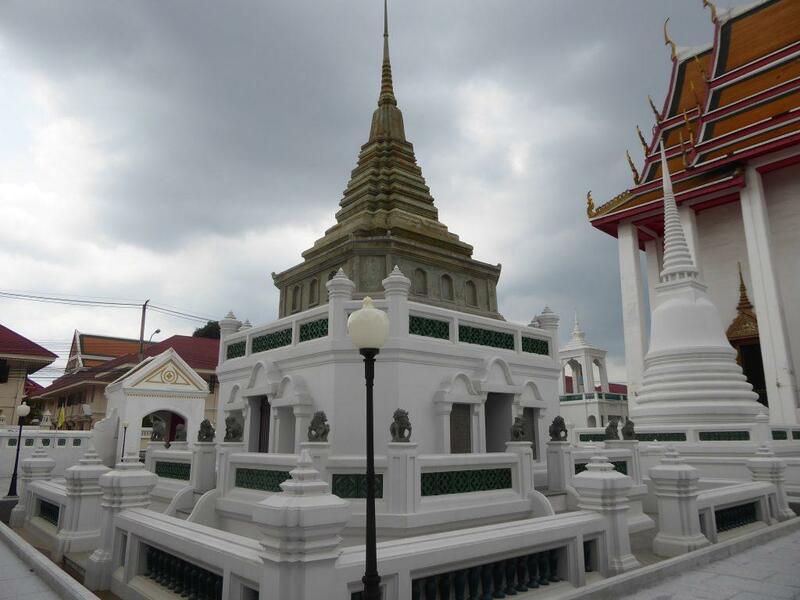 The temple has a large forecourt leading from the river to the temple entrance containing a few pavilions that are currently being renovated. 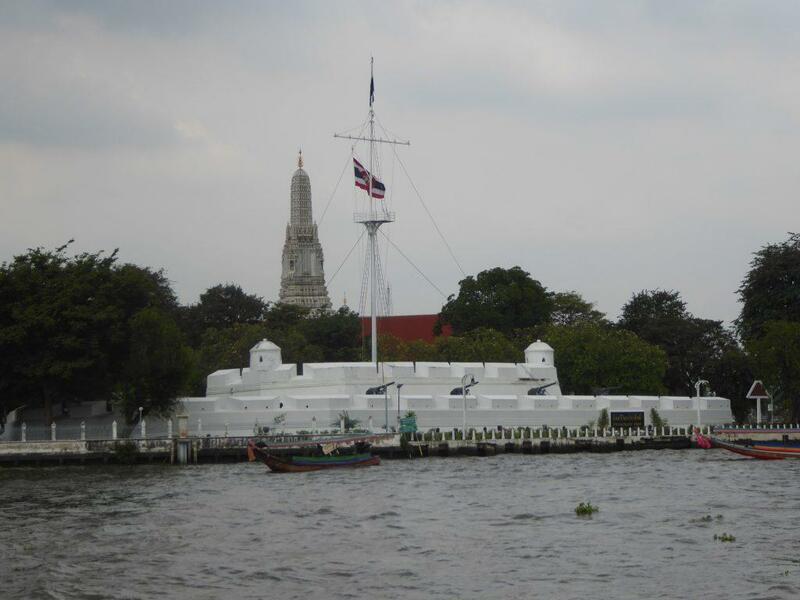 From the riverside pier to your left you can see Wichai Prasit Fort which is in the grounds of the Royal Navy headquarters (closed to visitors). The Ayutthaya period fort was strategically located to prevent ships sailing up the river to the former capital. You can also get a good view of Wat Arun’s central spire, especially after dark when it is lit up. Wat Kalayanamit is easily combined with a visit to Wat Prayoon, the Santa Cruz Church, the Kian Un Keng Shrine and the Kudi Chin community. They are all within walking distance of each other along a pleasant riverside path. 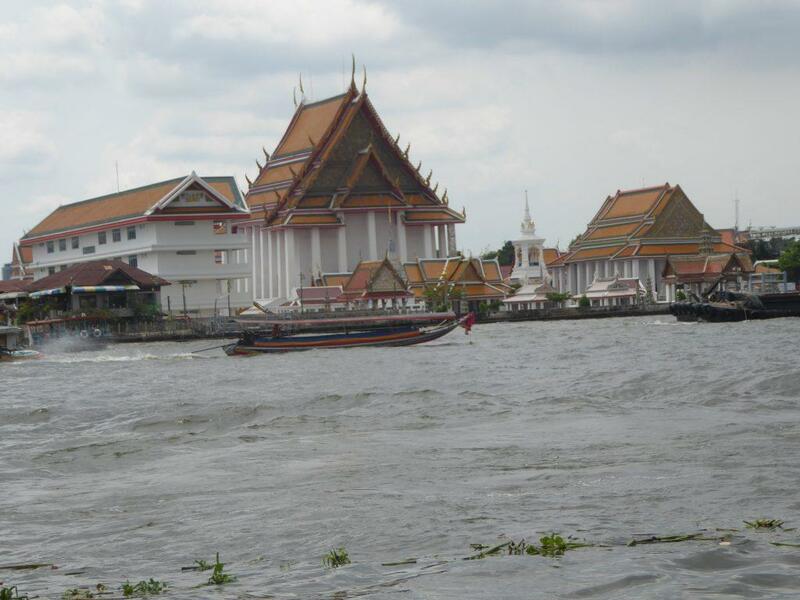 You can take a cross-river ferry from Yodpiman River Walk to Wat Kalayanamit for 6 baht. Location: New Arun Amarin Road Soi 6, Thonburi, Bangkok. Getting There: Take the cross-river ferry from Yodpiman River Walk. The Chaophraya Express Orange Boat stops at Rajinee Pier which is next to Yodpiman. The Tourist Boat stops at Yodpiman.